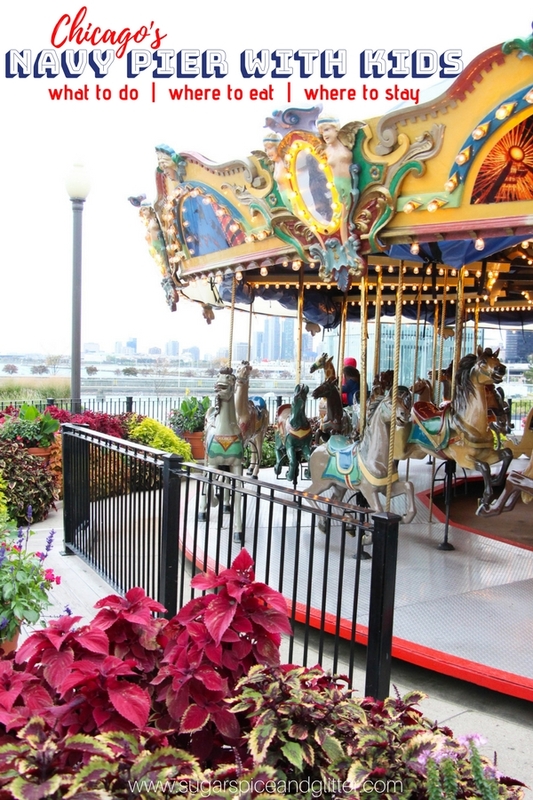 Chicago’s Navy Pier is a 50-acre cultural and entertainment hub on Chicago’s lakefront. 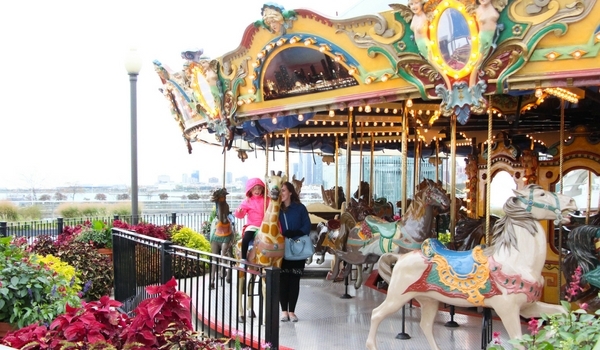 Home to several family-friendly attractions, from the Chicago Children’s Museum to Chicago’s Shakespeare Theatre, you can easily spend a couple days of your family’s Chicago vacation exploring the Pier. My daughter is 6 and we’ve been to Navy Pier at least once during each of our three Chicago trips. They always have something new going on and they have ever-changing entertainment, exhibitions, and free events. 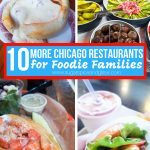 In this post, I’m going to share our favorite Navy Pier area restaurants, evergreen Navy Pier activities, and our top recommendation for a Navy Pier hotel. 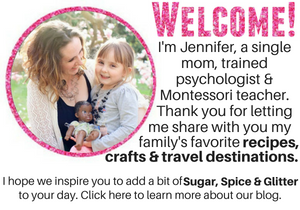 There are a few more options that you can explore with older kids – including helicopter rides and a Fun House maze – but my daughter isn’t quite ready for those. 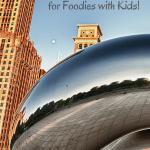 Millenium Park is a 6 minute drive or 25 minute walk from Navy Pier so make sure you head over to see the Bean (and other art installations) if the kids still have energy after their day at Navy Pier. Now, there are a few restaurants located at Navy Pier but they are mostly chains so we tend to skip those and go for something uniquely local. (Also, most were closed when we last visited due to construction.) Next time we visit we are going to check out DMK Burger Bar and Riva Crab House based on the reviews I’ve read. We ordered a few appetizers, pizza, and dessert (and cocktails for me) and everything was absolutely delicious especially the desserts. The Apple Pear Bread Pudding is out of this world delicious – even if you’re not travelling with kids, hit up this kid-friendly restaurant just for the dessert. You won’t be disappointed. Another total gem in the Navy Pier area (with 5 other locations around the city), Kanela is my favorite Chicago breakfast spot so far. There’s a good number of healthy (yet delicious) offerings on the menu (and Ella loved her fresh squeezed juice blend), which is balanced out by a tempted array of more indulgent choices. 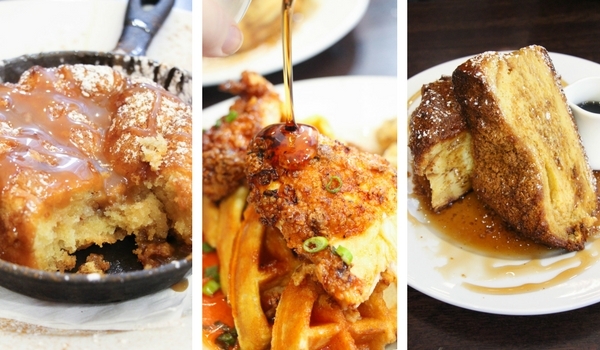 I went for the Fried Chicken & Waffles with sriracha honey sauce (amazing) and my friend split their signature French Toast with Ella, which reminded me of the Tonga Toast at the Polynesian Resort at Disney. We also ordered the Monkey Bread for the table which puts my cheater (biscuit dough) monkey bread to shame. 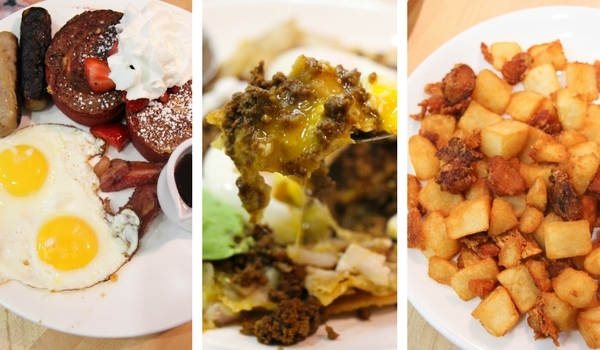 A Chicago breakfast staple that is now expanding into other states, Yolk has both breakfast and lunch offerings. 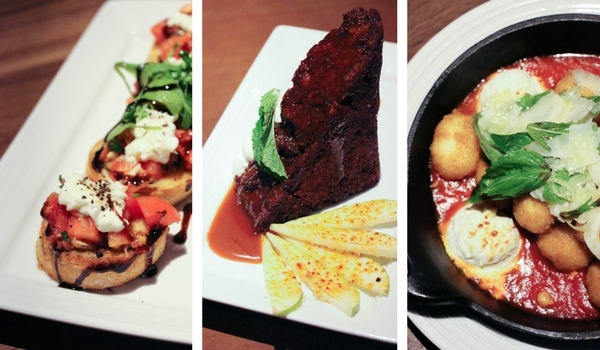 We went for the Chiliquiles Verde and the Red Velvet French Toast (plus a bunch of side dishes). Each of our plates could have easily served 2 people – the portions were huge! It’s open until 3pm and the kids’ menu is really well priced, so if you want to treat the kids for “breakfast for lunch,” this is a solid choice. 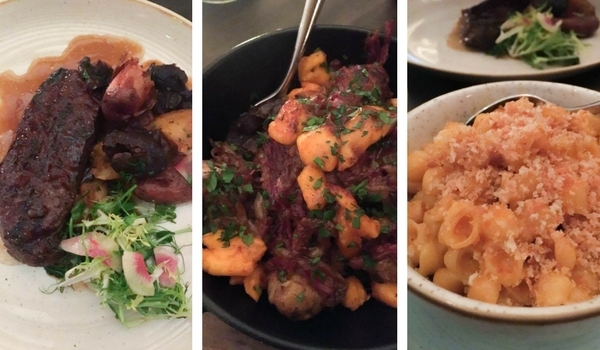 The in-house restaurant at Loews Chicago, ETA is a fun concept with flawless execution. They promise “a tavern for today’s travelers, welcoming guests with rustic American fare and Midwestern warmth” and they execute that with a sophisticated edge. The offerings sound like typical pub foods but what gets delivered to your table is nothing short of gourmet. They are willing to adapt anything to make it more to your child’s liking, but Ella loved the Mac and Cheese and Pot Roast Poutine that she ordered. You can read my full review of ETA here. We ordered the Pot Pie (worth the wait), Mac and Cheese au Gratin and Wedge Salad. 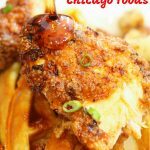 Typical family-friendly fare but with gourmet twists! The Mac and Cheese was prepared with applewood smoked cheddar (one of our favorites) and the Pot Pie was perfectly cooked with a phyllo pastry dome instead of the usual pie crust. There isn’t a kid’s menu but we never order off of those anyways. One of our favorite Chicago cupcake spots (and a sentimental favorite), there is a Molly’s Cupcakes location only 2 minutes away from Navy Pier. 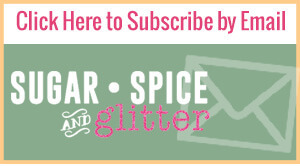 You can order their gourmet cupcakes as-is, or customize your own with your choice of base, frosting and toppings. Ella’s favorite is the Red Velvet, and we’ve liked every one that we’ve tried from their except for the Cookie Dough Cupcake (which, ironically, many people say is their favorite so we may have just got a bad one). We always seek out the Children’s Museum whenever we are in a new city and the Chicago Children’s Museum is probably our favorite to date. 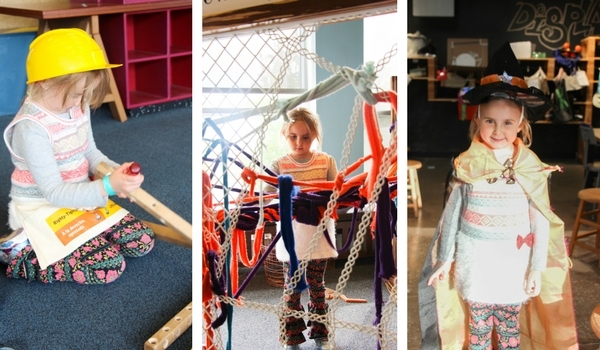 The museum is incredibly inclusive, interactive, and innovative. They have so many volunteers on hand and it’s always so clean. Every single room offers a completely unique experience and you could honestly spend all day there and the kids still wouldn’t be bored of the place. I love that it embraces all different interests (from art to engineering to palaeontology) and manages to find a balance between educational and engaging. The last time we were there it had a great obstacle course teaching kids how to stay low if they found themselves in a house fire (to prevent smoke inhalation) and a gorgeous three-room Eric Carle display featuring interactive installations inspired by the books. She also got to make a DIY costume using found materials. But my daughter’s favorite room every time we visit is the water room with it’s interactive pumps, pails, spouts, cranks, levers, etc. 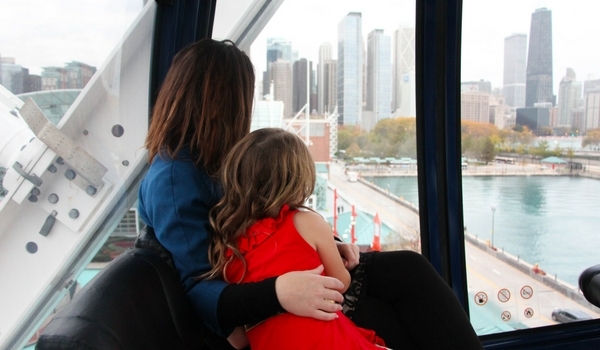 On top of Navy Pier is the iconic Centennial Wheel and a few other sweet rides for kids. Ella was initially very reluctant to get on the giant ferris wheel, but she quickly loved the amazing view and kept asking to go back for the rest of our trip. The ride lasts 12-15 minutes and costs $12-15 (fitting, right?) which I think is a great deal for the view. You get 3 rotations of the wheel, so you can just sit back and enjoy the first and last one, and grab some pictures during the second rotation. There is also a Funhouse Maze and games, but they are for older kids and a bit too scary for my 6 year old. Perfect for kids who like all things pirates, Tall Ship Windy was a very windy sailboat ride around Lake Michigan hosted by a pirate! The experience is educational and you learn a lot about Chicago’s history and skyline, while the whole thing is very entertaining for the kids. There are often passes to Tall Ship Windy on Groupon or included in Chicago Go Card. Last but not least, my daughter absolutely loved our Odyssey Dinner Cruise. 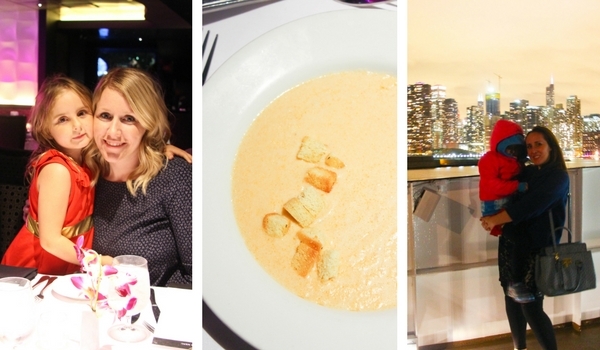 Not only was it incredibly scenic with gorgeous views of the Chicago skyline, she loved the food and all-night dance party! We were one of only two families on the cruise that night, but we felt so welcomed and they really fawned over the kids. They kept the music pumping but also PG-13, and whenever Ella needed a break from the excitement of the dance floor, we just went up to the open deck to take in some fresh air and look at that pretty view. 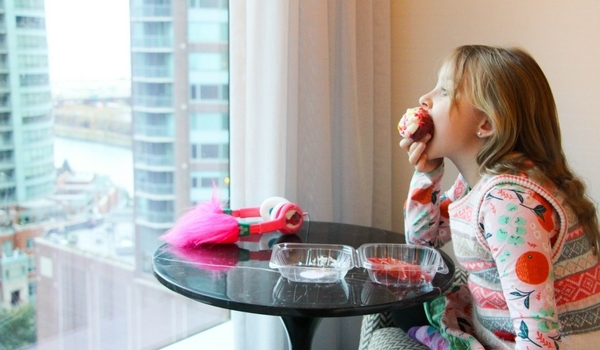 The amazing and super kid-friendly Loews Chicago is located only a 10-minute walk away from Navy Pier. 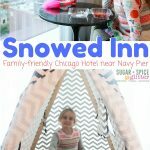 They had a really fun “Snowed Inn” package available when we stayed there in early November which included hot chocolate and cookies, a movie credit, a children’s teepee and pretend s’mores-campfire set-up in the room, and discounts at the on-site spa and restaurant. In the summer they have an “Urban Explorers” package which we can’t wait to check out. 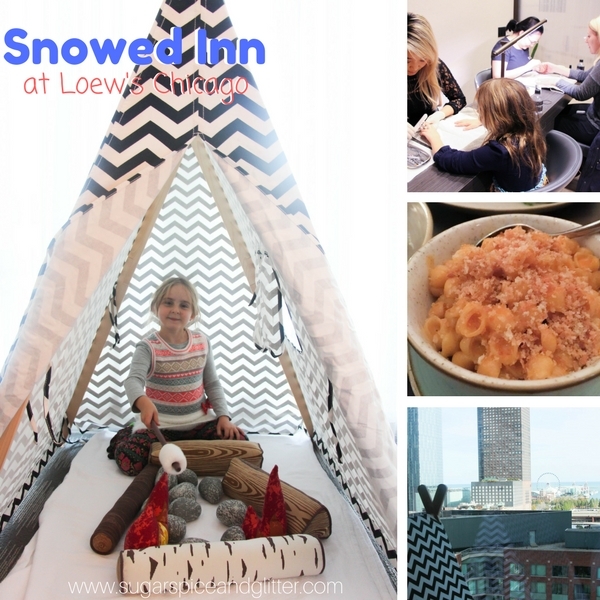 You can read my full review of our stay at Loews Chicago here. 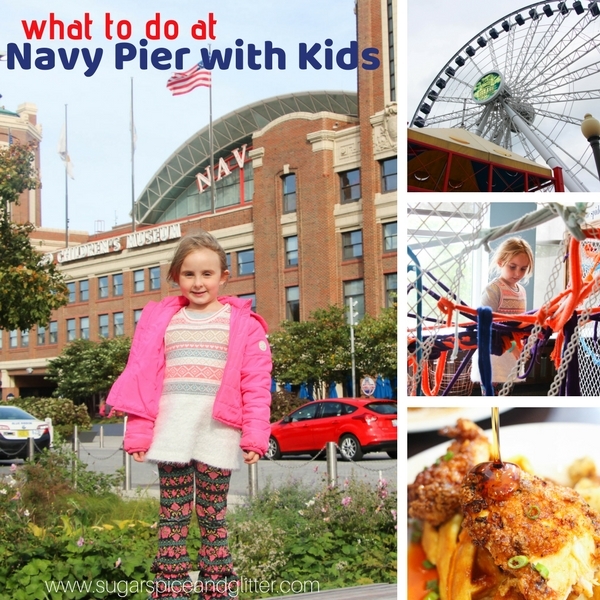 I hope our Guide for What to Do at Navy Pier with Kids is helpful to you in planning your own Chicago family vacation! 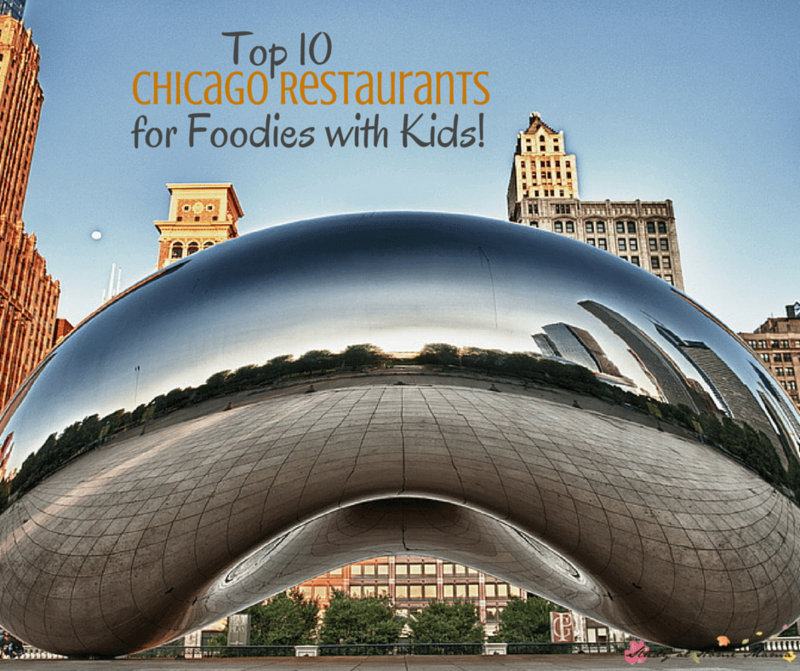 Ten More Chicago Restaurants for Foodies with Kids!